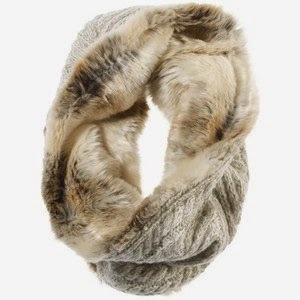 Checking out Pinterest last fall I took note of their faux fur infinity scarves. I found a couple and clicked the like button. Then I made my own version out of an old fur coat I found at my local thrift store. I cut a couple of pieces from the bottom of the coat that when sewn together would give me a standard width and length of an infinity scarf. I then sewed it into a tube, turned it inside out and hand stitched the ends together. All that fur you never see any stitches. 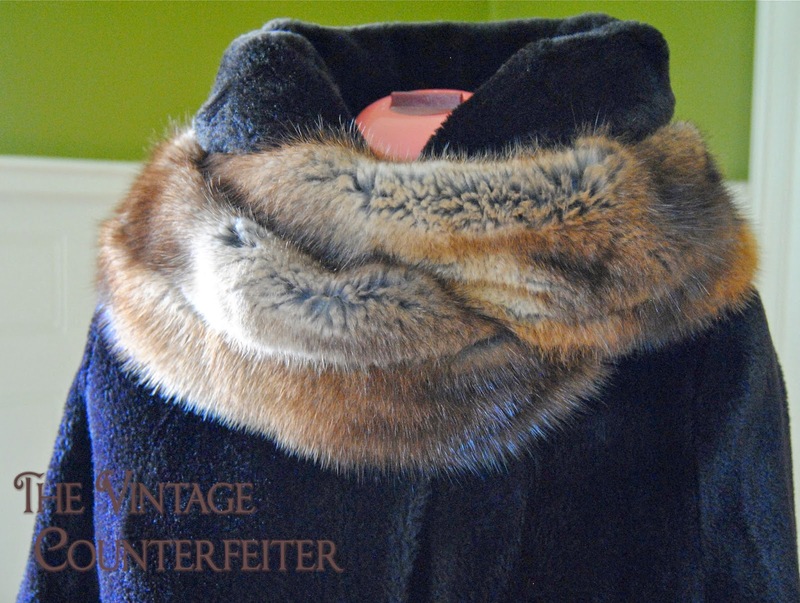 I like to wear it with this great chocolate brown coat I found in the summer. 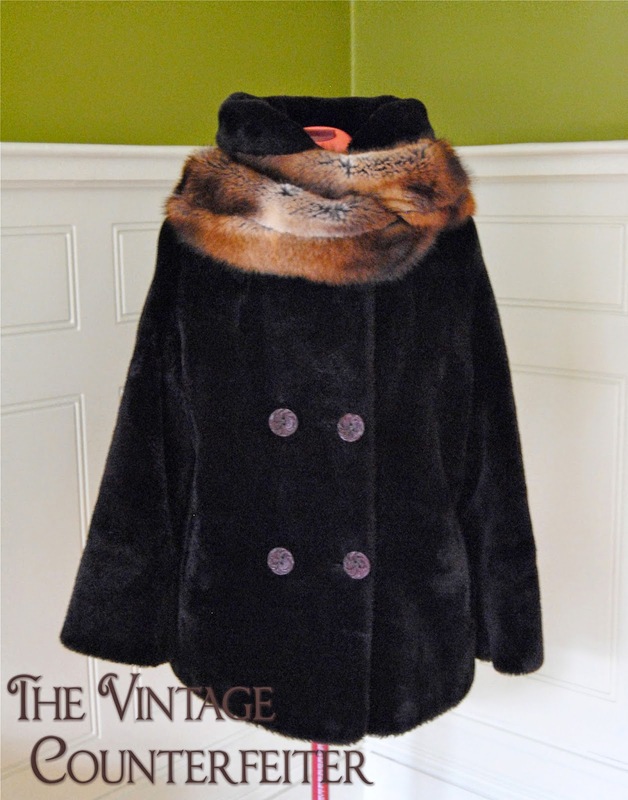 Its the perfect coat to wear when wearing petticoats. Yes it's a real fur scarf which I know can bother some people but I'm thrilled by how warm it is. I wasn't expecting it to be a big difference in the warmth department vs faux or wool for that matter but there really is. I'm not a fan of being cold and with our Canadian winters and being so close to Lake Huron this means cold, damp, windy, winter weather. Just a footnote to add has anyone read this article on manmade fabrics? It was quite an interesting read. I'm a fan of being warm! Your version is my favourite shared in this post. I love its portions and that rich, classic foxy brown hue. Awesome job, Debra! 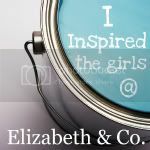 I'm always so inspired by what you create and share with us.